if you had a small thick candle and a tall thin candle which one would burn quicker? BOTH!!!!! because they are both the same size. 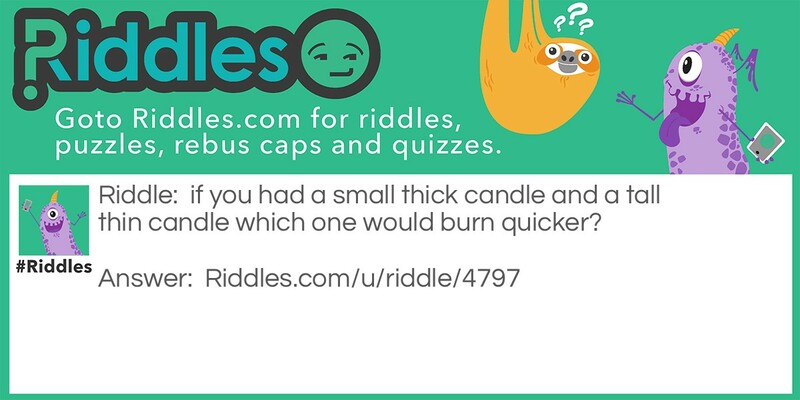 candles Riddle Meme with riddle and answer page link.